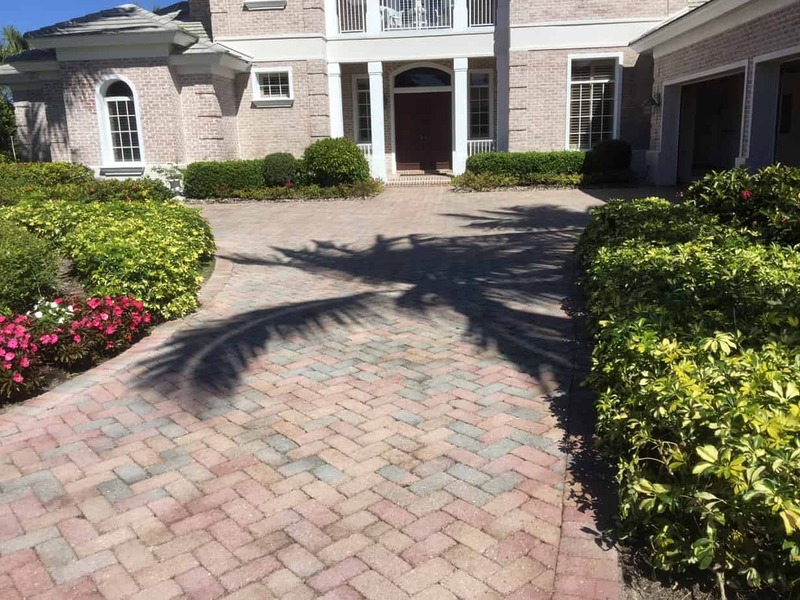 We are capable of cleaning, polishing, color enhancing, and sealing your paver driveway, steps, pool deck or coping. Also we can create a non slip surface. Being the longest standing stone, tile, paver and concrete restoration company in the region has afforded us the expertise to handle any related problem presented to us. 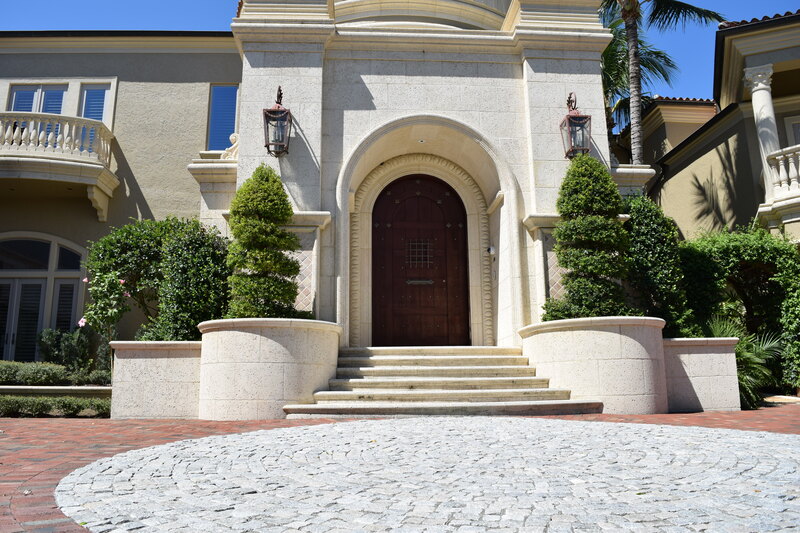 Since 1981, Jim Lytell sets the industries uncompromising standards and continues to pioneer the marble and paver restoration industry to this day. 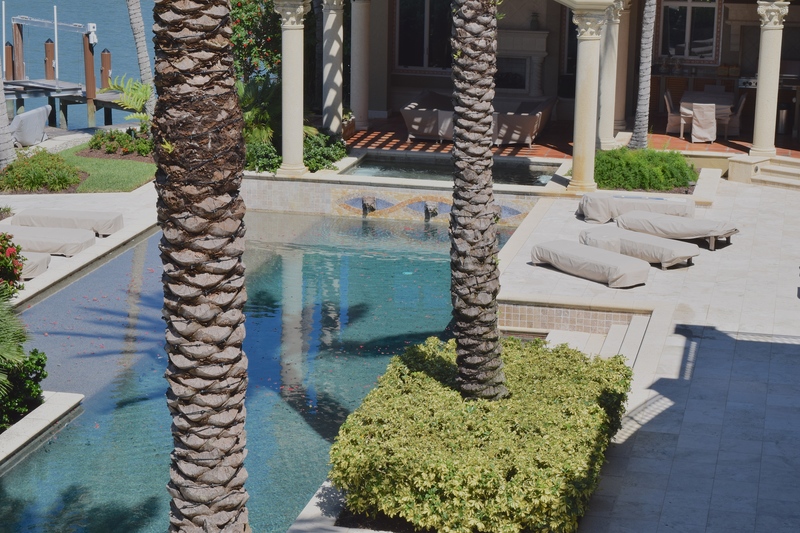 Only through years of experience can our technicians gain an understanding of how to deliver Your desired finish while maintaining your sand set pavers. We love to help and serve Naples, and our surrounding communities. From big jobs to small polishing jobs, local jobs to far away jobs, we can do it all. Call us to set an appointment. 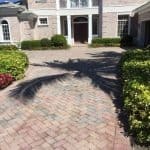 We’ll evaluate your pavers and give you a free estimate. 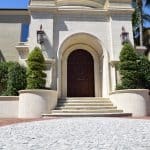 When talking to Jim Lytell Marble and Stone Restoration, or your local company, it is important to be familiar with your sand set paver floors. Pavers are found in a variety of materials. 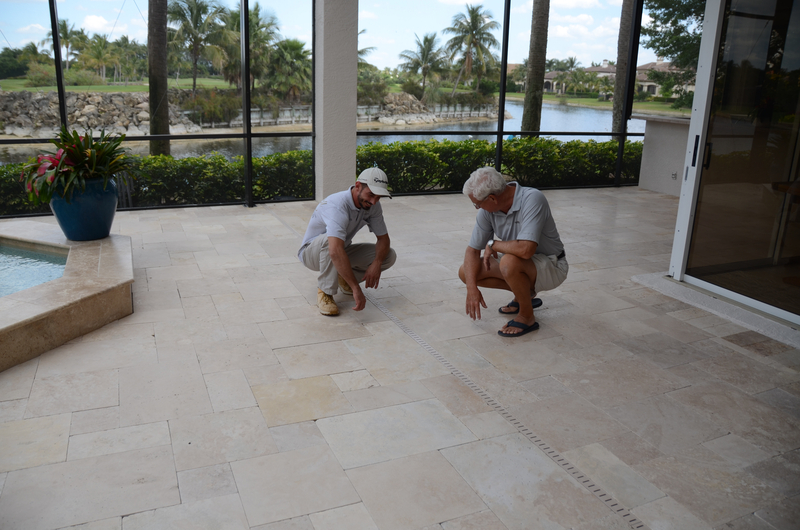 We often see travertine pavers, concrete pavers, and brick pavers. 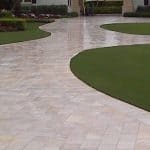 Other than travertine, pavers are typically manufactured to a high density standard that allows no more than 5 percent water absorption. That being said, and this applies to travertine too, if oil, paint, cement, or mortar spills onto your pavers, clean it immediately to reduce the chances for staining. If it does leave a stain, sand set pavers are easy to replace, as you will only need to pull the stained pavers. The white residue on top of the pavers is a condition called efflorescence. Efflorescence will sometimes wear off naturally. If the efflorescence persists it’s usually is due to poor draining. We do have methods to remove the efflorescence. 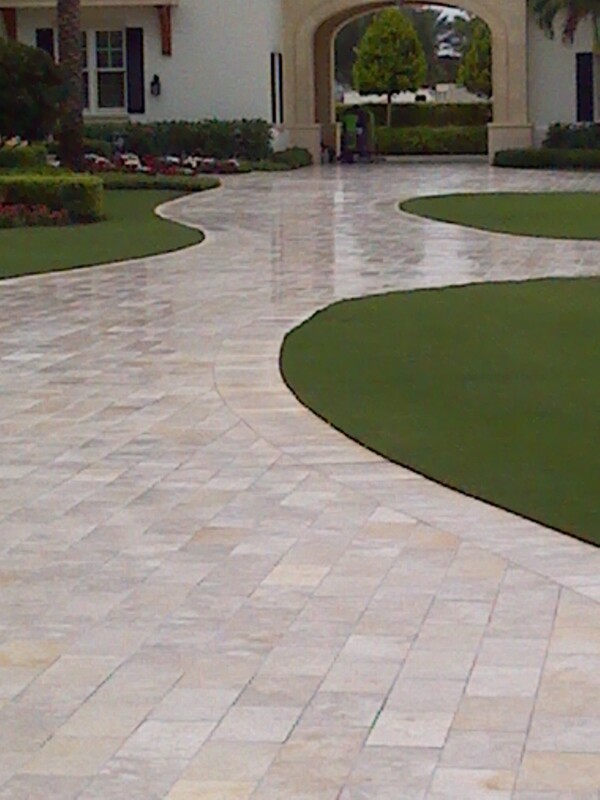 The main reason for using a sealer on pavers is to deepen the color. If you choose to use a topical sealer just remember that you will be setting yourself up for an expensive maintenance treadmill because they may need to be stripped and resealed once every three to five years depending on the traffic. We recommend sealing your pavers with a penetrating sealer or a color enhancing penetrating sealer. It will last a lot longer and not require stripping before being resealed keeping the cost of having beautiful pavers at a minimum. Free On Site Estimates for your sand set paver floor.